After a couple of relaxing days at home, I packed my stuff and moved up to my summer home in Duluth. Thus far, the weather has been lovely and I have had lots of time to read. It's nice to finally have time to read some of the books that have been on TBR mountain waiting. I brought home a selection that looked good to me while I was packing. I still have two review books on the calendar for most weeks but can fit in at least one from the stack each week too. With my brother's new job, we are planning when we can have meals together on a day to day basis since his work schedule is really random. One of the best things about summer is the he actually likes to cook. I can cook but he likes to cook. Heaven! We also went out for dinner at Texas Roadhouse on my first evening home. I am trying to clear some of the books from my review stack. So I have been concentrating on my July releases. Silver in the Blood by Jessica Day George is a historical paranormal. Two young society girls from New York travel to meet their mothers' family in Romania and discover that they have paranormal abilities. They also learn that their relatives are planning to assist the current Dracula heir to overthrow the government. My review will be posted on July 2 for this July 7 release. Paperweight by Meg Haston was an excellent contemporary story about a girl struggling with grief because of the death of her brother and who is also battling an eating disorder. My review will be posted on July 4 for this July 7 release. Imogene and the Case of the Missing Pearls by Elizabeth Varadan was a historical mystery for middle grades that features Sherlock Holmes. My review will be posted on July 8 for this June 1 release. It was waiting for me when I arrived at my summer home on Wednesday. 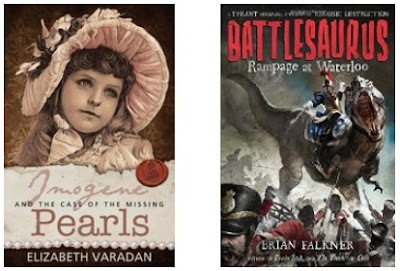 Battlesaurus: Rampage at Waterloo by Brian Falkner is alternate history. It posits that the French won the Battle of Waterloo because of their secret weapons - dinosaurs. The war scenes were very graphic. This is also the first book in a trilogy. My review will be posted on July 9 for this July 14 release. 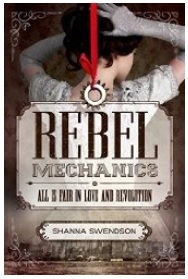 Rebel Mechanics by Shanna Swendson was a review book from my stack. This is also alternate history. There was no successful American Revolution because the British controlled the colonies with magic. Now a rebel group using science and invention wants to take over. A young governess named Verity gets sucked into the revolution when she gets a job caring for the governor's grandchildren. My review will be posted on July 11. This was my favorite book of the week. 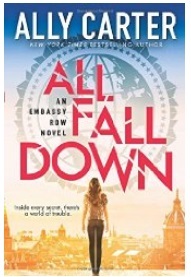 I have had All Fall Down by Ally Carter on my stack since it was released. I'm eager to see what Carter does in this new series. Nightborn by Lou Anders is from my review stack. It will be released on July 14. 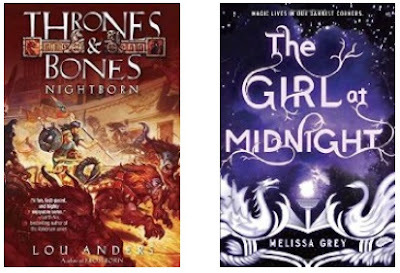 It is a middle grade fantasy. The Girl at Midnight by Melissa Grey is one of my purchases. I've heard nothing but good things about this fantasy. Enjoy your summer vacation and your break from cooking :) It is nice to be able to catch up on reading. When I was in college I loved being able to read for fun during the summer since the school year involved so much required reading. Thank you for all of your recommendations. Enjoy your summer! Enjoy your summer home and your summer reading. i will have to share with my daughter that Ally Carter has a new series started. We are both fans of Heist Society and the Gallagher Girls. Oh nice! I loved Girl at Midnight! All Fall Down was also pretty intriguing! 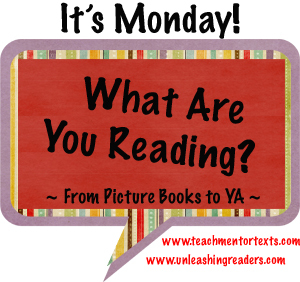 Hope you enjoy the reads this week! These look like great books! Thank you for sharing! You've been reading some interesting titles here. 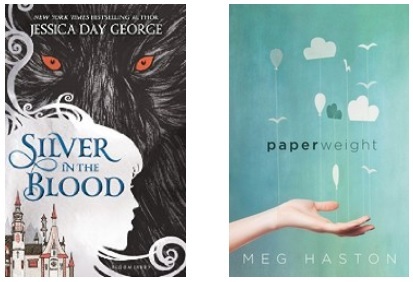 while I'm not a big fan of paranormal books, I do like Jessica Day George so I might change my mind. Your pile looks like the ones I bring home. As I clean up the library, I start to put aside my own reading piles for the summer.